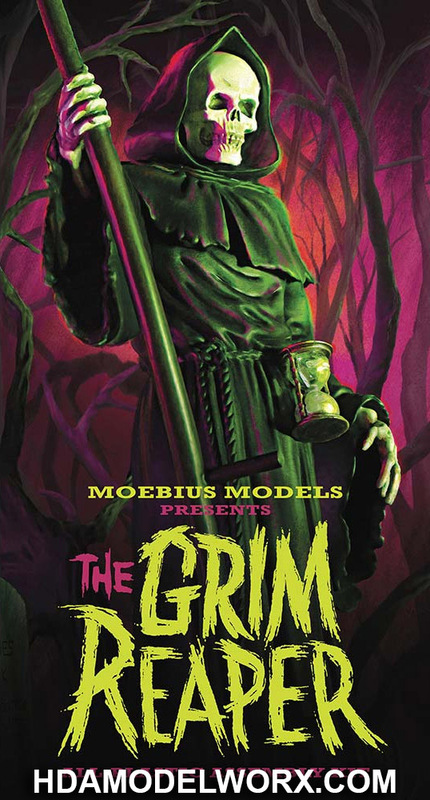 Moebius has released this AURORA styled model kit that's perfect for any figure modeler or collector. 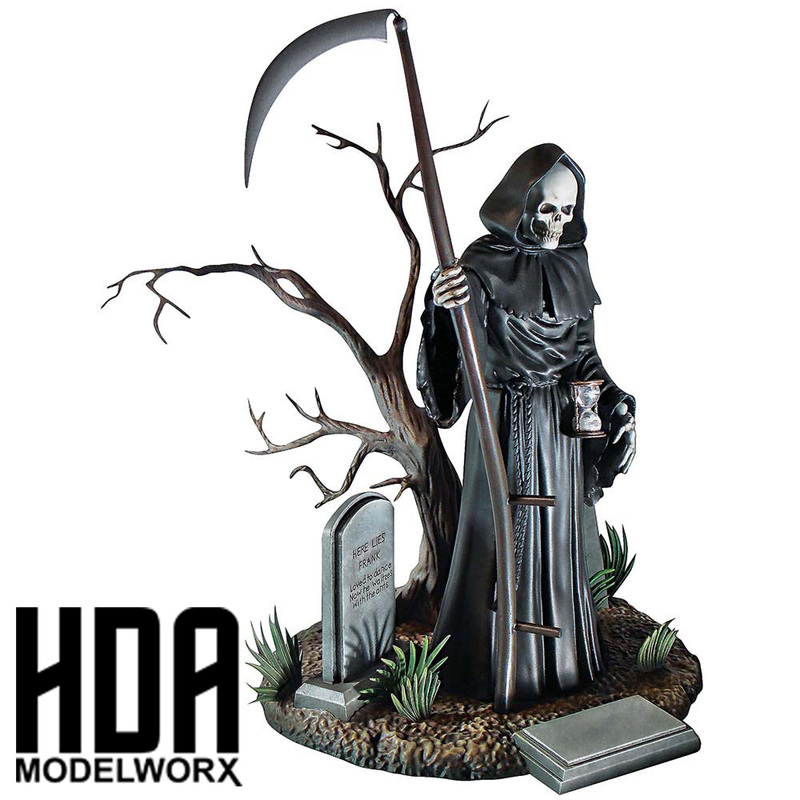 It comes with a detailed base with tombstones, weeds, a dead tree and ground texture. The figure stands about nine inches tall and features his scythe and hourglass. Packaged in a full color box with detailed instructions. Paint and glue required. Sold separately.